The entry of Reliance Jio in the telecom market has led to drastic reduction in consumer spending in the industry. A report from Kotak Institutional Equities has shown the spend fall from Rs. 43,700 crore from last year (before Jio) to Rs. 33,000 crore in the quarter ended March this year. Kotak Institutional Equities analysis is based on TRAI’s performance indicator report for March 2017 quarter. According to the report, the contribution of consumer-level spending on wireless services in nominal GDP has fallen to 0.79%. Before Reliance Jio, this number was pegged at 1.2 to 1.3%. Before Reliance Jio, the consumer-level spending on wireless services peaked at INR 44,600 crores in the June 2016 quarter. Seeing these numbers, the spending has reduced by an average of 26% since Jio’s inception. The cut-down in consumer expenditure in not a positive news for all departments. The Government procures about 12% Adjusted Gross Revenues from telcos as Regulatory Fees. The fall in this contribution is a major reason for the industry’s falling contribution to GDP. 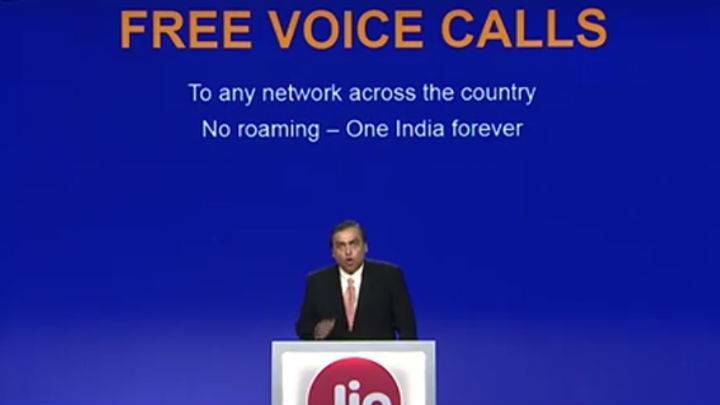 Reliance Jio went commercial on September 5, 2016. The company offered lucrative plans and the most affordable internet connectivity that India was yet to experience. The introduction of Reliance Jio shook the telecom industry and resulted in major consumer losses to giants like Vodafone, Airtel, and Idea. According to a TRAI report, Reliance Jio was single-handedly responsible for small operators losing about 5 million users. After Reliance Jio managed to capture 16 million subscribers in its first month, Airtel, Vodafone, and Idea were forced to cut tariffs to maintain their user base. The present scenario is witnessing downfall in the number of active users for Reliance Jio. The incumbents have started rolling out plans to attract consumers. The stage set by Reliance Jio has cut costs for the consumers. On the downside, we can see the telecom industry’s contribution to GDP has also gone down.